Picture in your mind walking to church in the dark, cold night of Christmas Eve with your family and neighbors; a little girl making your escape from school to the dime store to buy a bag full of candy; soldiers home from WWII meeting the train at the Bremond Depot to retrieve the casket of a fallen comrade; or a little girl attending the funerals of those fallen heroes during the school day at St. Mary’s. These are just a tiny portion of the oral histories recorded from the Bremond Historical Society Polish Oral History Project. In February of 2012 the Bremond Historical Society was awarded a grant from the Baylor University Institute of Oral History to record oral histories from the Polish Community. The Polish history preservation was chosen from among several applicants to the Baylor funded program. 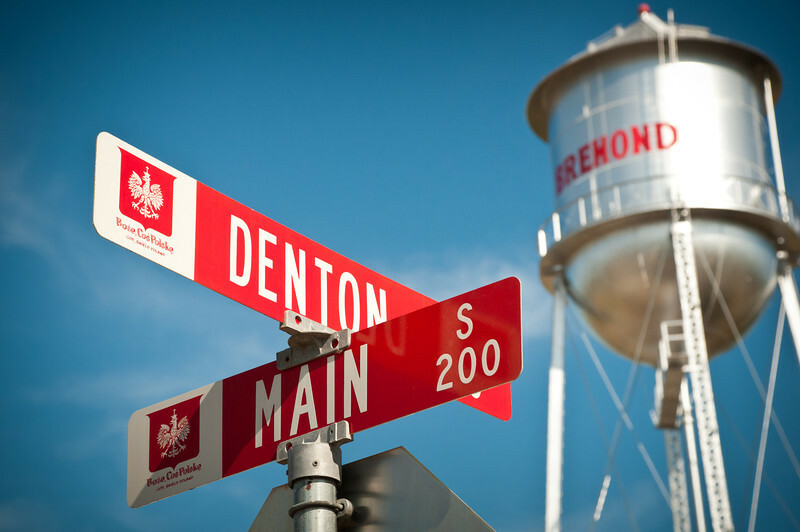 Bremond is unique in that it was, at one time, the largest Polish Settlement in Texas and large numbers of the descendants of those early settlers are still residing here. In the application for the grant, Mary Jim Allen, president of the historical society, wrote that we would interview at least 18 people. During this past year, expectations were greatly exceeded and 30 people were interviewed. Members and non-members of the Historical Society conducted the interviews, which typically lasted between 30 to 90 minutes. Ages of our interviewees ranged from 50 to 90+ years, with the majority in their 80’s or 90’s. For the interviews, Baylor provided the historical society with an audio recorder which captured high quality audio. After each interview a word list was made (to spell all the Polish names correctly!) and the list and disc containing the recording was mailed to Baylor. Students and Interns in the Oral History department transcribed each interview and sent them back to Bremond for corrections. Each interviewee had full control of their interview and was allowed to add or take out anything they said. The final transcript will be bound by Baylor and presented to each interviewee as a keepsake for their family. At the completion of the project, each transcript will be made available on the Institute’s website (www.baylor.edu/oralhistory) for viewing worldwide. At some point, hopefully the audio will also be made available on the website. Can you believe that someone in Poland could access an interview from one of our citizens in Bremond? While this project has been a very interesting and rewarding one, our regret is that we could not interview every single person of Polish heritage in Bremond. Our goal is to continue the interviews even after the completion of the project. If you would consider being interviewed, please call the Bremond Historical Museum at 254-746-5008 and leave a message or call Mary Jim Allen at 254-746-7771 or Frances Robertson at 254-746-7085. As we are nearing the end of our formal project with Baylor, plans are in the works for a banquet to honor our interviewees on Saturday, April 20. We would invite you to set aside time to join us for “An Evening of Heritage”. Be looking for more details soon!